The Gathering Place held its first Community Kitchen program in November 2014. We partnered with the North Bay Parry Sound District Health Unit to run a pilot Community Kitchen program for participants. Over the course of three sessions, participants learned how to make inexpensive, nutritious and delicious meals for their families, in addition to proper food handling and storage, cooking techniques, substitutions in recipes, meal planning and budgeting. Based on the success of this pilot, The Gathering Place developed Healthy Families Cook Together and launched it September 2015. 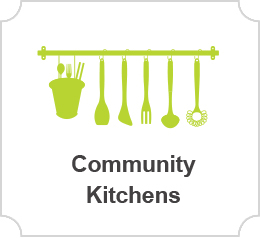 This Community Kitchen program brings parents and children aged 8-12 into the kitchen together to learn practical food skills and gain nutritional knowledge while spending quality time and sharing a meal together. The Gathering Place has applied for a grant through the Healthy Communities Fund of the Ministry of Health and Long-Term Care. 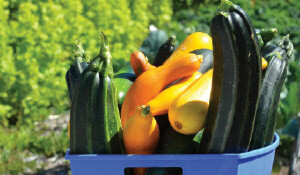 If successful, these funds will be used to expand Community Kitchen programs to suit the needs of our clients. Discover different areas for donation, and learn about new ways to donate to The Gathering Place. Stay connected, find new recipes and more in our resources section. Please note that we answer the phone only during office hours. 8:30 a.m. to 3:00 p.m.